United Bank of India Recruitment 2016: The United Bank of India has going to conduct the exam for the post of Probationary Officer (PO). There are around 100 vacancy. The United Bank of India has been invites the application form from the eligible candidates. The applicants who are looking for latest bank jobs in India can apply the UBI PO recruitment 2016. The candidates must read the United Bank of India notification 2016 to verify the eligibility criteria details. The aspirants can apply online mode of the application at the official site unitedbankofindia.com. Our Indrajobinfo.co.in site has provide the link for the United Bank of India PO recruitment 2016 advertisement and application form. So the candidates can easily check the eligibility details to apply the UBI Probationary Officer jobs 2016. If you want to get the latest job notification on your social page, then you must like our facebook page. The candidates can download the United Bank of India notification 2016 on the official site. If you get the UBI PO advertisement 2016, you will check the details before apply the online application form. The United Bank of India has been organized the examination to recruit the eligible candidates for the required vacancies. The aspirants must enter the application with correct details. Suppose you entered the wrong details, then you will rejected in the any stage of the recruitment. Read the article to get the complete details about the United Bank of India recruitment 2016. Other information like age limit, academic qualification, how to apply, application fee, selection procedure and other detaisl available here. 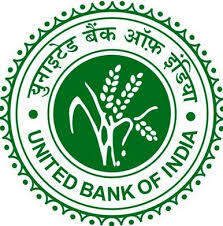 Name of the Bank: United Bank of India (UBI). Job Role: Probationary Officer (PO). Number of Post: 100 Jobs. Category Name: United Bank of India Jobs 2016. The candidates who have complete the Bachelor's Degree or it's equivalent qualification from a recognized university can eligible to apply United Bank of India careers 2016. The applicants should have an age limit minimum 21 years and not exceed 30 years. The upper age limit will be applicable for the aspirants as per the govt rules. The selection of the aspirants in United Bank of India vacancies 2016 will be based on the performance in the written test (online) and shortlisted candidates will be called for the group discussion & personal interview process. The candidates will be getting the pay scale Rs. 23,700/- to Rs. 30560/-. The aspirants will be getting the application details given here. For general candidates: Rs. 700/-. Open the official site unitedbankofindia.com. End date of application form: 12.07.2017. United Bank of India Recruitment Notification 2016. Upcoming and Current Bank Jobs 2016-2017.